St Lucia is a great beauty, with lush green jungles, tall peaks and plenty of West Indian charm. Add to that perfect bays, private coves and bright blue seas and you have one of the world's most idyllic tropical islands. Perfect for honeymooners. 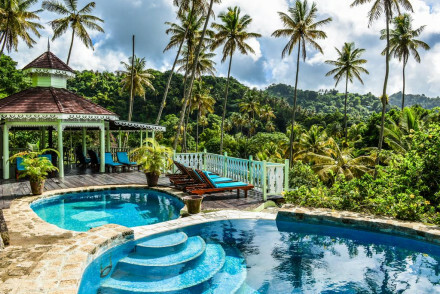 The best places to stay on St Lucia are known for their charm, colour and beauty too. 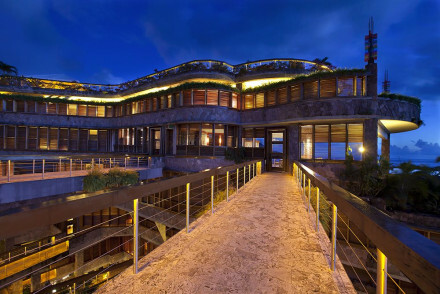 Among the best are a number of small luxury resorts. St Lucia divides into two distinct regions, the busier north where you'll find the majority of the tourist infrastructure and the larger resorts (Gros Islet is a good place to start your research), and the quieter, mountainous south, around Soufrière - which is also where you find many of the old plantations. 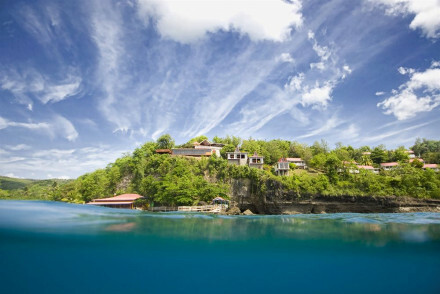 The best places to stay in St Lucia are probably split evenly between the two. If you're looking for adventure the two Pitons, Gros Piton and Petit Piton, might draw you to St Lucia - for most people climbing Gros Piton is an achievable goal. But you might also be tempted by the drive-in volcano, or the sulphur springs. St Lucia's Pigeon Island National Park is also worth a visit, especially if you're interested in seeing Fort Rodney, an old British naval base. In addition, St Lucia is a great spot for snorkellers and divers and there are reefs off a number of beaches. Spend an afternoon wandering around Anse Mamin, a former sugar plantation that has a fantastically secluded beach area, great walking trails and is a haven for mountain bikers. Take in the frescoes adorning the Immaculate Conception Church. One of the largest churches in the Caribbean, it boasts wonderfully colourful interiors and you can take a tour to learn more about the history of Catholicism in the region. Go hiking around the Pitons, consisting of the Petit Piton and the Gros Piton, twin volcanic spires. You'll love the stunning views once you get to the top! Be sure to pass by Pigeon Island National Park, a 44-acre spot where you can learn about the island's history (including its occupation by pirates), go visit the ruins of Fort Rodney or just relax on the beautiful beach. For some local colour you can't miss Castries Central Market. 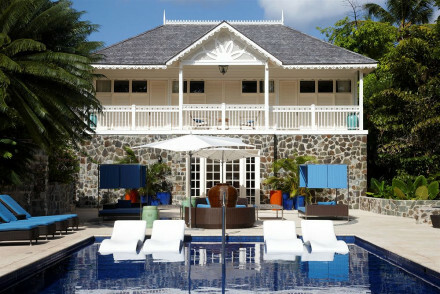 The Hotel Guru's selection of the best places to stay in St Lucia caters to all tastes and budgets from stunning, five star, no-holes-barred luxury to a relaxed B&B in the heart of Rodney Bay Village. Ti Kaye is a collection of charming bungalows surrounded by shady gardens. Quiet and romantic, some of the rooms go for all out luxury, including private plunge pools and outdoor showers. If you're looking for a honeymoon destination, Ladera, with its adult's-only ambience, colonial-chic decor, private plunge pools and spacious rooms with no fourth wall, is perfect. 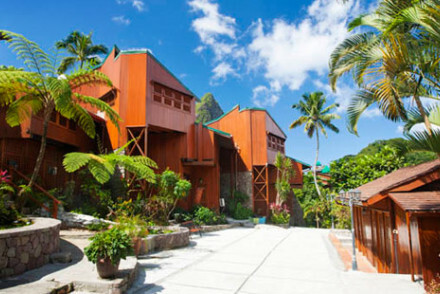 There are just 32 rooms and the views of the Pitons are incredibly memorable. 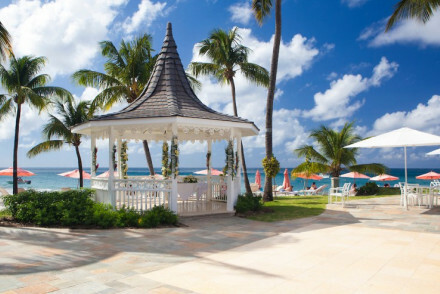 Sugar Beach, A Viceroy Resort boasts a superb beachfront location. Offering elegant whitewashed accommodation with opulent bathrooms, each room also has a private garden and plunge pool! What's more, outstanding cuisine's served up - what more could you ask for? Capella Marigot Bay, situated a short distance from the marina, offers smart accommodation featuring slate floors and high vaulted ceilings, whilst most also have private plunge pools and terraces. What's more, there's an outdoor pool (with its own waterfall! ), a spa and wonderful international cuisine served up. The adults only Rendezvous is set in a former coconut plantation. Their gorgeous rooms feature bamboo floors and four posters, whilst there's also an outdoor pool, spa, tennis courts and splendid cuisine. Enjoy romantic picnics on the beach or head off on a sunset cruise. Jade Mountain is a truly wondrous spot. Their spacious rooms feature modern furniture, private infinity pools and, most importantly, have had their 'fourth wall' removed - offering sublime vistas of the Piton Mountains. And, it's just a stone's throw away from the beach! 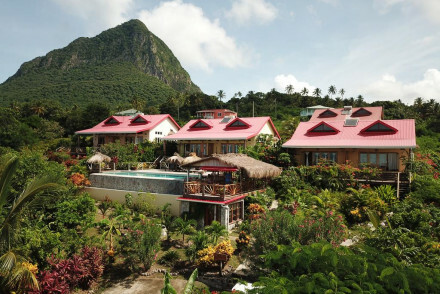 Offering individual villas in a superb spot surrounded by dense tropical vegetation, Stonefield Villa Resort is set in a former lime and cocoa plantation in the village of Soufriere. Unwind by the scenic pool before enjoying the wonderful views at sunset! 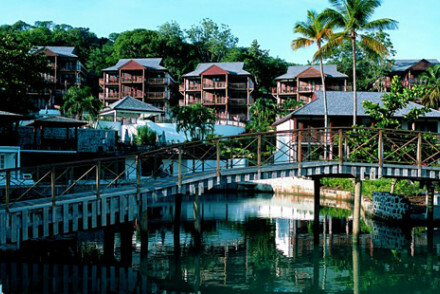 The luxurious Cap Maison is located above Smuggler's Cove. Offering spacious rooms and villas, there's also an outdoor pool, spa and gardens. Book yourselves a villa suite - some even come with a private pool, jacuzzi or rooftop terrace. Boucan By Hotel Chocolat is a contemporary property located in a cocoa plantation. The rooms feature plenty of dark wood furniture, modern four poster beds and lovely bathrooms, whilst there's also an outdoor infinity pool and a spa. Anse Chastanet is a pre-air-conditioning and high-tech-gadgets resort right on the beach front, with complimentary watersports, gym, spa and tennis courts and a choice of five restaurants. Just off the coast are coral reefs, so it's perfect for snorkellers. The BodyHoliday at Le Sport is a 'wellbeing' hotel right on the beach. The idea of this resort is that it focusses on fitness and relaxation, so there are spa treatments and personal trainers and everything else you can imagine. In a truly idyllic location. Calabash Cove is a dreamy beachfront spot, boasting chic and airy rooms featuring plenty of dark wood and sunset-facing terraces. Enjoy a refreshing dip in the infinity pool (that is, if you don't fancy a dip in the sea!) and make use of their extensive spa facilities to truly unwind. East Winds Inn is set amidst 14 acres of stunning gardens, boasting chic and airy accommodation with plenty of wooden furnishings and light hues. This secluded hideaway also provides top-notch grub as well as offering direct beach access. 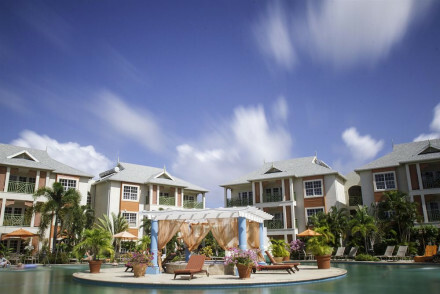 Ginger Lily on Rodney Bay is a colourful B&B with large, tropical style rooms and hammocks on the balconies. There are just 11 rooms and family suites with full kitchens and living spaces. Plus, you're only a short stroll from the beach. All starting from £72 per night! 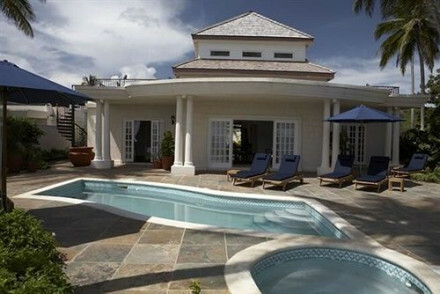 Cotton Bay Village is a cluster of colonial style villas on a secluded, private beach. Rooms start at £132 per night, but there are larger suites which can sleep the whole family, or higher end suites with their own private pools and French antiques. Coco Palm is an elegant hotel in a French colonial style building with spacious, antique filled rooms, beautiful gardens and a spa and gym. Their 103 hotel rooms start from just £102 per night. 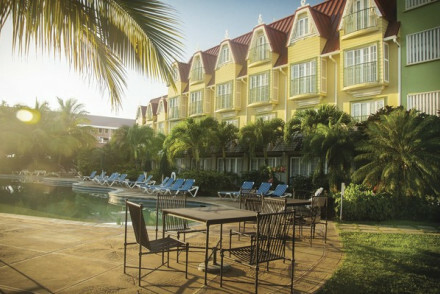 Windjammer is an elegant, contemporary resort with direct beach access. 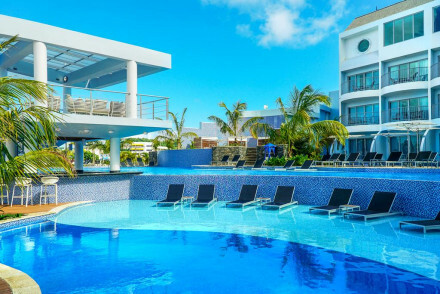 The size of this resort - 330 rooms, means they're able to provide something for everyone, from candlelit suppers on the beach, to an excellent kid's club, to private jacuzzis. Coconut Bay is a large all-inclusive resort on the Atlantic beach front with separate adults only and family wings. The family side offers all sorts of fun tours and watersports, but both have beautiful, peaceful beach views. 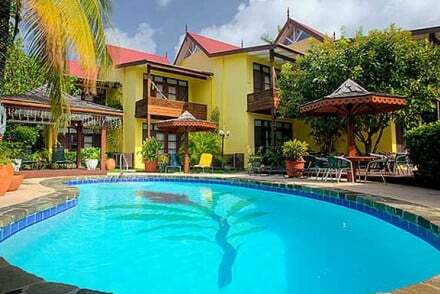 Bay Gardens Beach Resort near Rodney Bay is a colourful, smaller resort with good sized rooms and suites, and family villas with full kitchens and plenty of bedrooms. And if you choose a beachfront room you'll be just metres from the sand. If you think you'd be best served by a self-catering option then browse through the wide variety available online with our partner, Booking.com. It's probably best to visit St Lucia between May and June, when the weather's lovely (with an average temperature of 28°C) and there are enviable room rates to take advantage of. It's busiest and most expensive from December to April, so you might want to avoid visiting at this time. Hurricanes and tropical storms are most likely during September and October, so these months should be avoided. If you're coming internationally, you can fly to Hewanorra International Airport (UVF), with British Airways, Iberia, Virgin Atlantic and Thompson going direct from London Gatwick and flights lasting around 9 hours. The airport is located about an hour and a half drive south of Castries, the capital city. Be warned though that taxis aren't metered and so the driver can charge you as they see fit, therefore it may be best to pre-book an airport shuttle service for an agreed price. Those coming from elsewhere in the Caribbean or from Puerto Rico can also fly into George F.L. Charles Airport. 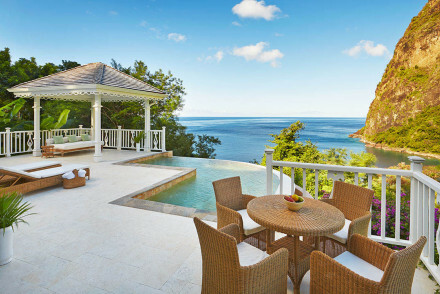 Browse through our list of all the best places to stay on St Lucia. Colourful B&B in Rodney Bay. The large rooms have tropical print furnishings, big bathrooms and hammocks on the balconies. Outdoor pool and gardens, short stroll to beach. Relaxed bar area. Ideal for families and great value for money. This sleek, Miami-style marina hotel in Rodney Bay is a great alternative to the nearby all-inclusives. Bright rooms have a distinctly nautical feel. Berth your yacht at the hotel jetty, take the water shuttle to the beach at Pigeon Island and indulge in fine dining with panoramic views. Elegant hotel in French colonial style building. The rooms are spacious and filled with mahogany furniture, sleigh beds and with claw-foot baths. Outdoor pool, gardens, spa and gym. Some rooms are swim up from the pool. Great Caribbean menu and lively bar. Charming, pretty and good value. Elegant family friendly beachside resort. Rooms and villas feature contemporary furniture, four poster beds and private terraces. Outdoor pool, gym, tennis courts, spa and direct beach access. Superb Mediterranean menu, laid back beach bar. Luxurious, spacious and outstanding location. Clusters of villas on secluded beach front. Colonial style rooms feature dark wood shutters, French antiques and private pools. Shared outdoor pool, spa, gym and private beach. Superb fusion cuisine, slick bar. Family friendly and great value. Colourful resort in Rodney Bay. Rooms and suites are spacious with four poster beds, modern bathrooms and ocean breeze-sized windows; the suites have proper kitchens. Big outdoor pool, spa and games room. Asian-Caribbean fusion cuisine and lively beach bar. Excellent value and location. 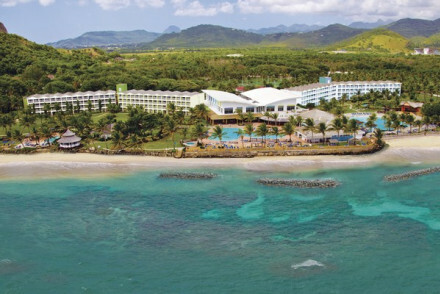 All inclusive Atlantic-facing beach resort with separate adult only & family wings. Spacious rooms have colourful artworks, cream furnishings and balconies. Outdoor pool, spa, gym, tennis court and direct beach access. Fabulous cuisine of varying formalities. Friendly, idyllic and fantastic value. 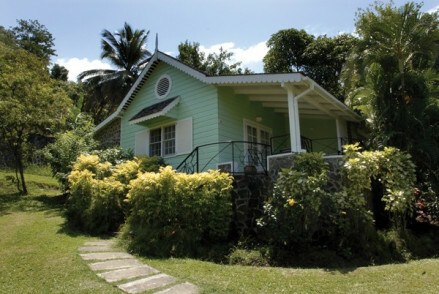 An authentic boutique property in a hillside location in the shadow of Gros Piton. Studios have a rustic-chic charm with outdoor showers, plenty of wood and lovely terraces overlooking the sea. A convivial, secluded getaway without the trappings of a large resort. 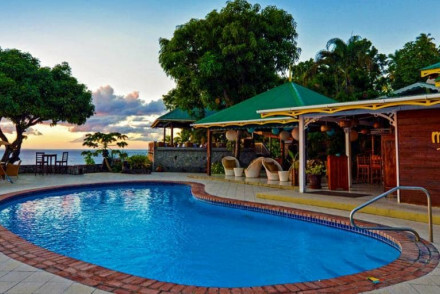 Stonefield Villa Resort is set on a former lime and cocoa plantation in the village of Soufriere. Unfussy individual villas equipped with their own kitchenettes, private pools and patios with fantastic surrounding views. Locally sourced meals at the Mango restaurant. Wonderfully romantic! 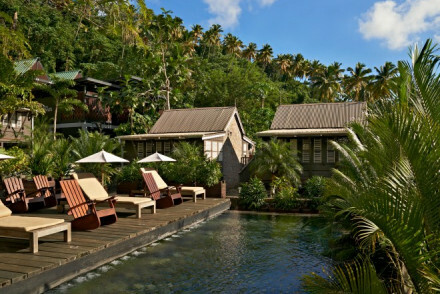 A salt of the earth plantation retreat in lush jungle south of Soufriere. 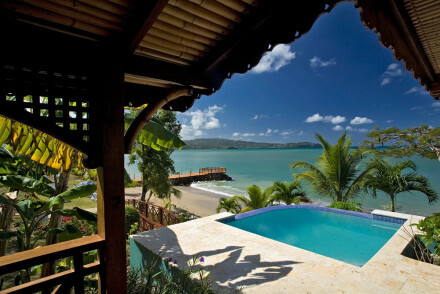 Secluded cottages with fourposter beds, private terraces and plunge pools are dotted amongst the cocoa and cinnamon trees. The food is authentic and hearty and the spa offers volcanic mud wraps. An eco-honeymooners dream. Birdwatching - A birdwatchers paradise with St Lucia orioles, bananaquits, St Lucia pewees and hummingbirds- to name a few! 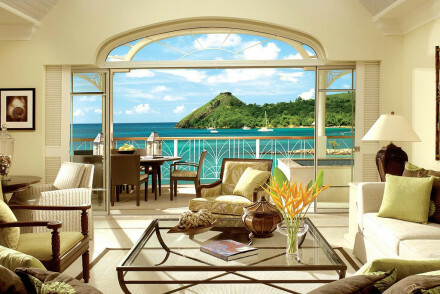 An elegant collection of suites, with its own marina hidden away in Gros Islet on the northwestern tip of St Lucia. Fully functioning apartments have kitchens, sea-facing balconies and even washing facilities; while the decor is fresh and bright. Low-key luxury on a sandy stretch of beach. St Lucia as it was pre air-con and hi-tech. Large rooms have wooden shutters, hard wood floors, artworks and big terraces. Direct beach access, complimentary watersports, gym, spa and tennis courts. Five restaurants providing equally excellent cuisine. Piton views, jolly decor and relaxed ambience. Charming bungalows amongst shady gardens. The rooms have romantic four poster beds, walk-in wardrobes and outdoor showers; some with private plunge pools. Outdoor pool, superb spa, gym and beach access. Excellent fresh St Lucian cuisine, jolly bar. Quiet and ideal for couples. Sensational hotel above Smuggler's Cove. 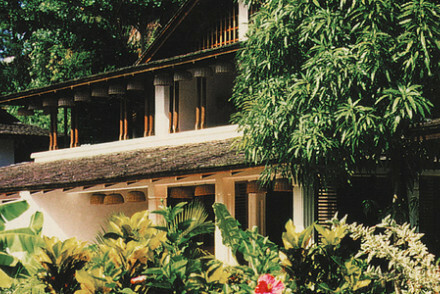 Rooms & villas are spacious, with shuttered windows, dark wood furniture and large verandahs. Villas have kitchens, living rooms & flexible layouts that are perfect for families or groups. Outdoor pool, gym, spa and gardens. Luxurious, intimate and serene. Spa - Wide range of pampering treatments (including couples massages) offered in a variety of locations. Contemporary hotel in a cocoa plantation. Rooms have dark wood furniture, modern four poster beds and sumptuous bathrooms. Outdoor infinity pool, gardens, spa and terrace. Excellent cocoa based menu, and great bar. Ideal for those wanting a slice of urban chic, off the beaten track. Contemporary hotel near the marina. The rooms have slate floors, big beds and high vaulted ceilings. Most rooms with private plunge pools and terraces. Outdoor pool with waterfall, gym and spa. Excellent international fare in restaurant, characterful bar 'The Rum Cave'. Slick, laid back, luxurious. Gorgeous beach front hotel. Contemporary rooms feature dark wood furniture, exposed beams and terraces with hammocks; larger suites have outdoor showers. Outdoor infinity pool, lush gardens, spa and private beach. Excellent Asian cuisine; swim-up pool bar. Chic, slick and friendly. Honeymoons - The ideal honeymooners spot with sunset facing private terraces, spa treatments and much more! 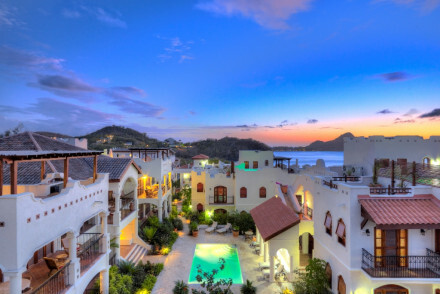 A stay at Ladera is a once-in-a-lifetime experience. Beautifully crafted wooden suites with private plunge pools open onto dramatic views of St Lucia’s Pitons. There’s no fourth-wall so use your water pistols to keep the wildlife at bay. Adult only, secluded, stunning. Cooking classes - Daily morning cookery demonstrations at the bar at Dasheene. Adults only hotel in former coconut plantation. The rooms have bamboo floors, four posters and sumptuous bathrooms. Outdoor pool, tennis courts, gym, spa and shady gardens. Both formal French dining and relaxed Caribbean fare; chic bar. Romantic, secluded and very laid back. 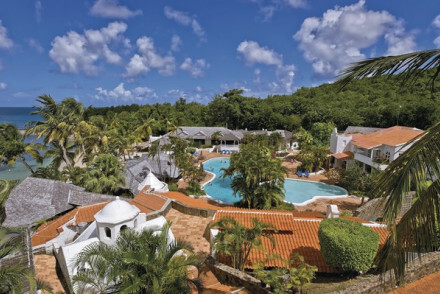 Elegant all inclusive beachfront hotel in 14 acres of lush gardens with 30 large airy rooms in cottages scattered throughout. Outdoor pool, direct beach access, outdoor fitness track & complimentary yoga classes. Fantastic fresh local cuisine, jolly bar area. Ideal for a laid back, low key holiday. Wellbeing - From yoga & pilates to fitness and diet, all aspects of guests' wellbeing are taken care of. Garden - Stunning 14 acre gardens with over 100 tropical species to discover. Stunningly situated, gorgeous family-friendly hotel. Elegant rooms have white furniture, chandeliers, walk-in closets and opulent bathrooms. Each room has private garden and plunge pool. Tennis courts, gym and spa, direct beach access. Outstanding cuisine, chic bar. Luxurious and spacious. Splendid adults-only, all inclusive, wellbeing hotel on the beach. Rooms feature four poster beds, marble floors and elegant bathrooms. Outdoor pool, spa, gym, tennis courts and watersports. Fantastic pan-Asian cuisine, music evenings in the buzzy bar. Rejuvenating, relaxing and carefree. Sublime hotel in the mountainside. The spacious rooms all have views of Piton Mountains, wooden floors, modern furniture and private infinity pools. Shared outdoor pool, gym, spa and tennis courts. Outstanding seafood cuisine, slick bar area. Luxurious, stunning and chic.